Did you do anything for Oktoberfest this year? If you live in the Los Angeles area, you have quite a few options. Today, I'm going to focus on Alpine Village, not because it has the best Oktoberfest, but because you can feel a little bit of Oktoberfest all year round. 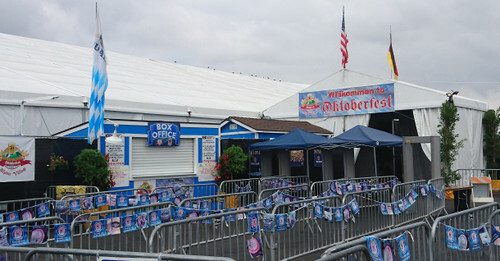 Alpine Village has Oktoberfest every year from about the end of September to the end of October. It's a German festival that was about celebrating a royal wedding with the Bavarian peasants. Mostly, it's about drinking, eating, and having a good time. I'm sure you've heard about drinking beer from a boot, right? 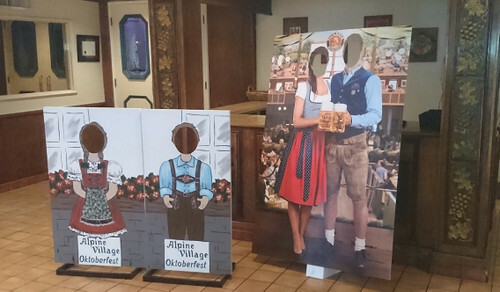 At Alpine Village, there are two days you can celebrate Oktoberfest during the holiday season. Saturday nights are usually for adults. There is a lot of drinking and popular music, kind of like a bar, but outside. Sundays are a bit more traditional. It's for families, with some traditional German music played. Sunday is also nice because there's a flea market, so you can eat, drink, and shop. However, if you missed Oktoberfest this year, that's OK! 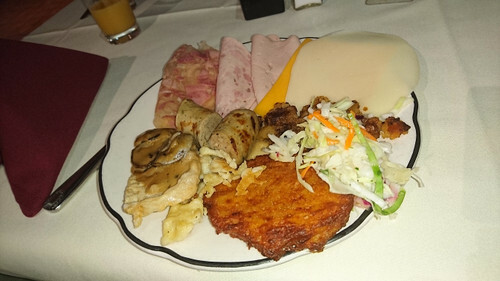 Alpine Village has a buffet brunch on Sundays that serves both traditional German food and familiar American style food. Sometimes there's music too. You can ask for beer, but it's a champagne brunch. There's also a nearby market. I think this is the best part of Alpine Village. There are many imported goods. 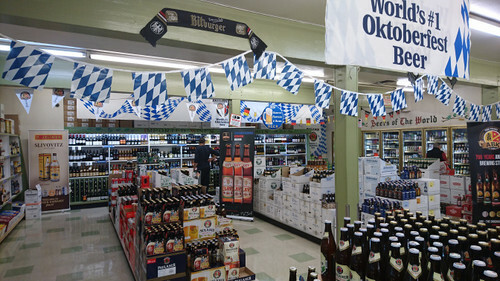 As you can see from their alcohol selection, you really could have Oktoberfest all year round if you shop here! Of course, you can also buy other imported goods, like pickles and chocolate. 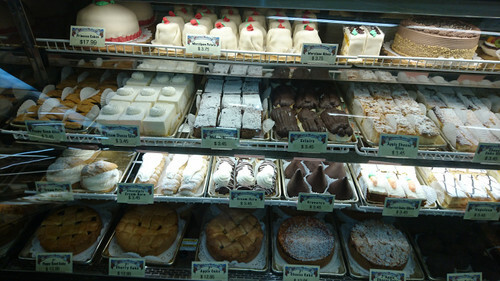 However, what's very nice is the German style butcher and bakery. 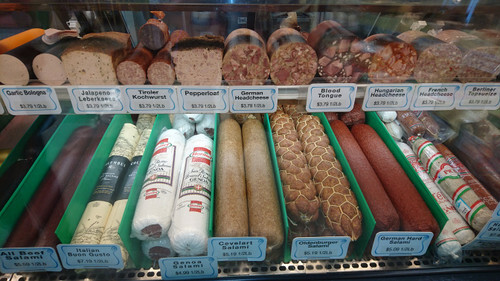 You can get a lot of European style meats, especially German ones. If you want to try something unique, try buying some head cheese. It's not cheese but meat from the head of an animal put in a savory gelatin. If that sounds scary, don't worry! There's also a very good sausage called, "Weisswurst." It's very good, and very fresh. Traditionally, it had to be eaten before noon or the meat would go bad. Good thing we have refrigerators! It's easy to cook too. Just put it in hot water (not quite boiling) for ten minutes. You can also just grill it. It's incredibly tender. It may become your favorite kind of sausage! While Alpine Village can give you a chance to do your own Oktoberfest all year round, there is one interesting event that Alpine Village's competitors in Huntington Beach do that's worth noting: dachshund racing! If you have friends who have dogs, maybe you can get some supplies from Alpine Village's market and make your own Oktoberfest!